An exchange between two blogs has prompted me to begin an article series that I have been thinking about for some time. I want to take a look at things Evangelicals can learn from the Gospel perversion of Mormonism. Denny Burk, a friend and former pastor of mine, wrote an article on his blog, Denny Burk, entitled “A Sad Tale of Feminism Gone to Seed.” In Denny’s article he laments the feminist mindset that has wagged war against what Burk calls the Christian dream of family. Much of what Burk has to say about feminism and it's effects is spot on. Dan Edelen responded to Burk’s article with his own insightful critique in an article on his blog, Cerulean Sanctum, entitled “Feminism, Singleness, And The Idol Of The Nuclear Family.” In his article Edelen points out that the larger family of God (made up of all believers) has been revealed in the Word to be of more importance than the nuclear family (blood relatives). He makes the case that evangelicals have made an idol of the nuclear family. Edelen urges us to take on the proper Christian dream of family, the family of God made up of all believers, and I think he is right. If you have not read either of these articles I would urge you to take a moment and do so before you proceed. I would like to add to this discussion on the role of the nuclear family in the church through a different lens. Living in Salt Lake City in the milieu of all shades of Mormonism has giving me an interesting perspective on many of our pursuits as Evangelicals. I have seen moral ideas that Evangelicals hold close playout in interesting ways in Mormons. I have seen Mormons white-knuckle themselves into moral lives that most believers can only dream of. I have seen the embodiment of strength and power in the LDS church that many of our Evangelical churches today seek out and think is a proof of Christ’s blessing. It has been said many times before that “heresy is the mother of orthodoxy” and though what I discuss below concerning the family is heresy produced after orthodoxy, the principal is still the same. Heresy helps us see clearly what is right and true. individuals to return to the presence of God and for families to be united eternally. Who doesn’t want a happy family? Who wants to see their family die off one by one? Who wants to be alone? I certainly do not and nor does anyone if they have had a decent family experience or something similar. This is the hope that Mormons are peddling. It is the leading foot of their Gospel and the discerning believer will see it is just not the Gospel. So what can evangelicals learn from this perversion of the Gospel centered on the nuclear family? We must preach joy, hope, and love from the Gospel and not life circumstance. Whatever joy and happiness can be gleaned through family should pale in comparison to knowing Christ. If family is were you find joy and happiness then you will be sadly surprised in an eternity staring into the face of Christ. Paul considers “everything as loss because of the surpassing worth of knowing Christ Jesus [his] Lord.” (Philippians 3:8). The Gospel can and will influence and improve our family relations but this is not the ultimate in view. A radical focus on the Gospel, Christ’s work, as our source of joy and happiness then opens the door for people of all life settings to begin to live in goodness of the Gospel among the wider family of God. We must reassert the Family of God as primary to the Gospel above the Nuclear Family. As Dan Edelen pointed out 1 Corinthians7:1-40, Luke 18:28-30, Mark 3:31-35, and Isaiah 56:3-5; these verses all give good counsel on what the new family of God looks like above and beyond the nuclear family. I might add tothis list 1 Corinthians 12:1-31 with its picture of the body of Christ and the differently gifted members there within. I would further point my LDS friends to Christ’s discussion with the Pharisees in Mark 12:18-27. The marital arrangements of this world will be superseded by a much greater marriage arrangement and that is between Christ and His church. We must remember now that our marriages and families, as sweet and important as they are, are only meant to prefigure our future union as the church (family of believers) with Christ. We must work hard to understand the role of singles in the Family of God. In 1 Corinthians 7:1-40 Paul makes the case for the single’s ability to be free from the anxieties of this world and be anxious about the things ofthe Lord. This is set against those that are married that must be, by nature of life setting, concerned about the things of the world and not just about the Lord’s work (1 Corinthians7:32-33). In Fact Paul points to the fact that those that are married have divided interests (1 Corinthians7:34). Picking up Cheerios in a minivan may be more of a divided interest than living the dream. As the church we would do well to promote the health and Godly vitality that singles can bring to the church as those committed first to the work of the Lord; only to relinquish that work do to a calling to marriage or uncontrolled passions. Instead of always pushing and prodding singles toward marriage why not push and prod toward Gospel work! One’s singleness can lead to the most fruitful and enriching time with the Lord if the focus is on Christ and His work and not the lack of marital union. We must be careful not to take the renewed interest in family ministry within the church to far. 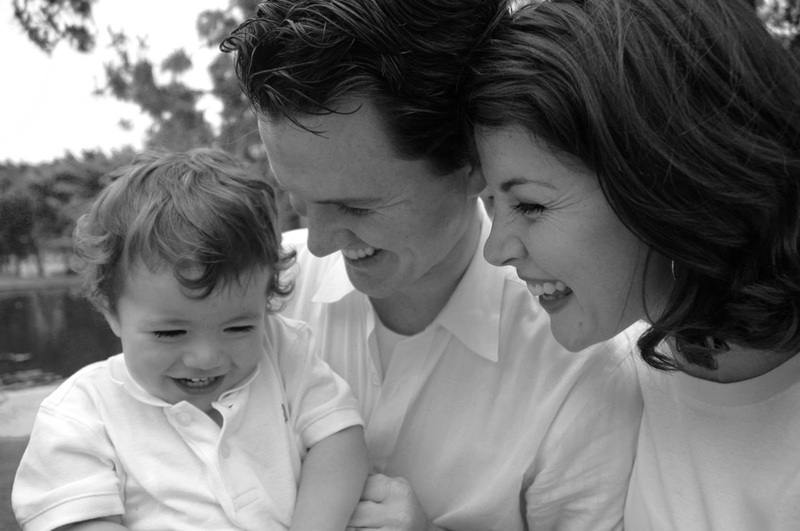 The Mormon Gospel of family should serve as a warning to Evangelicals in our endeavors to more fully embrace the family in churches. It is a very good thing for us to think about how to minister to families in our churches, but we must not carry our ministry to far and eclipse the wider family of God we have been called to be a part of. While I doubt many evangelicals will wrap family in with the Gospel as Mormons have done, we have come dangerously close at times. Family is super-important and is the primary place most of us will live out our Christian witness, but we must keep first things first. We must work for a balanced approach for living in the time between the times. We live between the time of Christ’s first coming and His return. We have seen a tailing off of the old dispensation and a taste of the new. Titus 2:11-15 calls for us to renounce the world and its passions and to wait for the appearing of our Savior who is making for Himself a pure people. That people is the new Israel, the Church, the family of God. While most of us will find ourselves enveloped in regular family life that has been since the dawn of creation some of us will find ourselves living more in the new family of God as single servants of the coming King. All of us together will be God’s purified people in the new heavens and new earth. May we learn to embrace each other as we all wait to be finally and perfectly embraced in the family of God as the bride of Christ. Mormons know how to do family well. In fact, I would venture to guess that many Mormon families look like what Evangelicals think their families should look like. But the Gospel is not about the perpetuation of our Nuclear Family but rather the in-gathering of a people form every tribe, tongue, and nation into a new family. It is this eclectic, adopted family that will be together forever. LISTEN to the: What Evangelicals Can Learn From Mormons Pocast Series Here! *Picture is in the public domain and used with permission from creationswap.com.